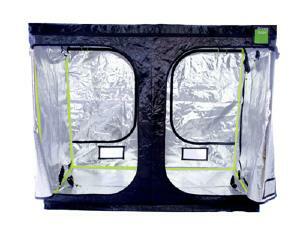 Green-Qube grow tents provide cutting edge, innovative design that is easy-to-assemble, strong and durable. These tents were designed and built to last. 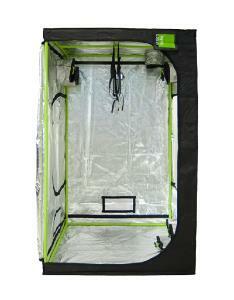 If you see a Green-Qube grow tent can instantly see the difference between it and the other tents on the market. 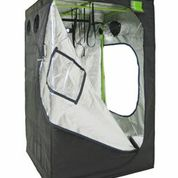 A Green-Qube grow tent has some of the thickest poles on the market and they are the only grow tent out there that has super-tough military waterproof zips. Together with the exclusive uplift bar for gravity-fed hydroponic water systems such as AutoPots and IWS, viewing windows, double over sized socks to fit all ducting, double stitched trim, diamond cut superior Mylar fabric and outside passive vents, the Green-Qube really can give you everything that you need from a grow tent – at a price that is affordable. The Green-Qube prides itself in offering high quality but most importantly at affordable prices.